When you give the wrong gift to a friend, she will still graciously accept it and thank you for your thoughtfulness. When you give the wrong gift to your BFF, she probably isn’t going to care, but you’re certain to hear tongue-in-cheek jokes about it for years to come. While we’ve all made gift missteps, and probably still hear about them to this day, no doubt we’d really like to avoid doing the same thing again. Not just to escape the ridicule, but because we genuinely want to make our BFFs smile. If you’re considering ordering flowers online for your friend’s birthday, be it the kindly person who will accept whatever you give, or the BFF who will torture you relentlessly if you get it wrong, follow the tips below, so you can be sure your birthday flower bouquet will be one to remember (for good reasons). If your friend is a fan of surprises, start poking around a month or so in advance. Try to isolate what her favourite type of flower is and go with that. If there’s no way to steer the conversation without spoiling the surprise, find out what her favourite colours are and choose flowers in that hue. It’s also a good idea to find out if she’s prone to allergies. If she is, it’s smart to stick to flowers that aren’t likely to trigger her allergies. If you’re stuck on keeping the bouquet a surprise until she receives it, and she’ isn’t forthcoming with the info you need to choose something based on her preferences, it’s time to get creative. 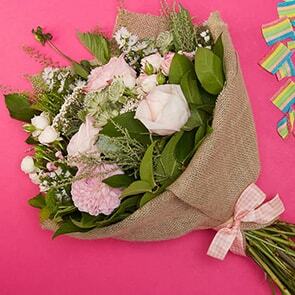 Choosing the flower of her birth month is a simple way to customize the gift. You can also search for flowers by personality type. At Bloom Magic, this is relatively easy to do, as our hand-tied bouquets are broken into an elegant Classic Flower Collection and a fun and breezy Californian Flower Collection, with new collections on the way. It’s easy to pick up a bouquet at the grocery store, but the difference between a grocer’s bouquet and one made by an artisan florist is astounding. An experienced florist will focus on choosing beautiful, fresh blooms, and will piece the arrangement together with expert precision. 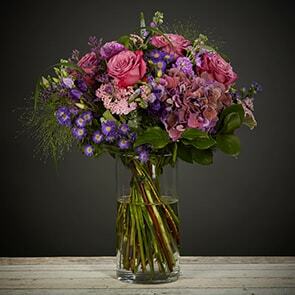 The final result is a gorgeous and full bouquet that will last longer. 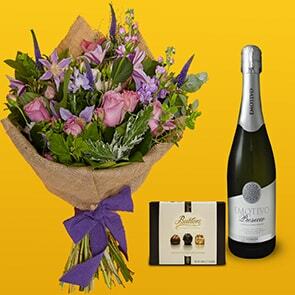 Whenever possible, order ahead of time, so you can be sure that your gift will arrive on her special day. It’s also a good idea to take into account what her day is like and make sure the bouquet arrives when she’ll be available to receive it. Work schedules, the schedules of sleeping babies who might be woken by the bell, and other details of her life should be taken into account. 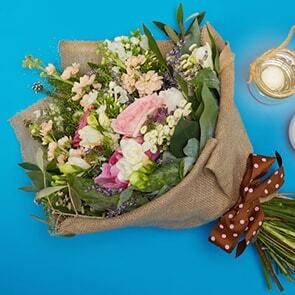 You can browse Bloom Magic for specific offers by popular locations such as Birthday Flowers Delivered to Dublin. Including a personal note with the bouquet is the icing on the cake. You don’t need to be a poet or craft something elegant, but whatever you write should be a reflection of your friendship and why you think she’s wonderful. 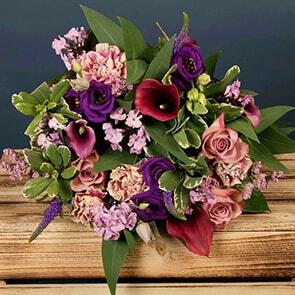 At Bloom Magic, we make it easy to choose just the right birthday bouquet. You can search the site by flower, colour, collection, or location. No matter what flowers you choose, you can rest assured they’ll make her smile and will stay beautiful long after the big day passes.